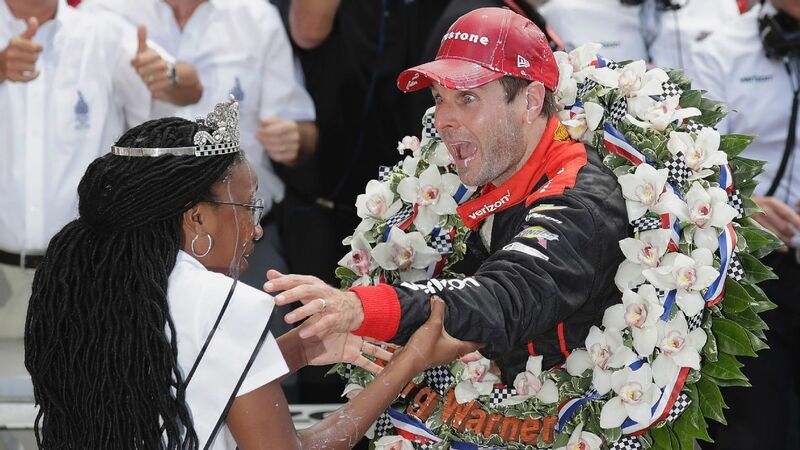 INDIANAPOLIS – Will Power apparently does not remember the moments after his 500th win on Sunday in Indianapolis. "I must have screamed a lot?" Power asked the media. "I did not notice, everybody's talking about screaming." Yes, he did. For good reason. Stefan Wilson's inspirational History almost led to an incredible Indianapolis 500 finish on Sunday, but he had to pit one final pit stop. Danica Patrick crashed out of the Indianapolis 500, the last race of her career Sunday, when she lost control of her car and hit the outer wall in Turn 2. For the second time in the past 44 years, a driver won his first Indianapolis 500 after being without victory in 10 previous starts. "I was wondering if I would ever win," Power said. "And, I think, thoughts went through my head [about it]." "My career, I had so many wins and so many poles. But everyone has always talked about the 500. "I have some of my competitors "I was just a bit hesitant because I'm not supposed to eat any dairy." "But I did not care. I just drank it. " With team owner Roger Penske to his left and his wife Liz On his right, Power pumped his fist into the air, still looking undecided. "It's what I so desperately need have what I so desperately wanted, and it has come true, "said Power," you want something so much, it comes to you through hard work and determination. " Even hard work and determination were on Sunday with eight rounds, like it seemed to him that not enough had the chance to win, could slip away. He rode in fourth place, and the three riders in front of him had the advantage of a few caution laps that made their fuel-kilometer strategy a possibility. Instead, leading Stefan Wilson had to pass Jack Harvey with a pit stop four laps from the end of the race and entrust Power, who finished third , 1 second ahead of Ed Carpenter prevailed. "I just screamed like I never screamed," Power said about 90 minutes after the checkered flag. "It was amazing, the last two laps, the last lap, the white flag, the checkered, I mean, you can not explain it." "As if I was really high off now because I was exhausted to be so excited." He certainly knew the feeling of losing an Indy 500 when Juan Pablo Montoya overtook him with less than four laps three years ago when it appeared that Power was considered one of the best drivers in history went to not win Indianapolis. The only thing he always talked about was, "I have to win the Indy 500, I have to win the Indy 500 to get where I need to be," team principal Tim Cindric said, "having seen has what he did to us team, what we all went through together – his spirit never leaves this sport. "He is fully committed. He has made a lot of sacrifices offices. To see the climax. I think you saw how excited he was today. You do not see that too often. When he got out of his car on Victory Lane, this high-altitude flight was obvious, and the first Australian ever to win the Indianapolis 500 had almost no words left. "I can not describe it," said he. "I feel like I'm collapsing. I want to cry. I could not stop screaming on the radio. I can not believe it. His team owner could believe it. "He won this race today because he was the best," said Penske. Power had to work to become the best in Indianapolis The 37-year-old power suits the oval, and the largest of them all, the 2.5-mile Indianapolis Oval, is the most challenging with its shallow bends and amazing speeds. For several years, Power had to go to Team Penske's shop and the miniature Seeing Borg-Warner Trophy showing the organization's 16 victories in Indianapolis 500. He can see the photo display of Indianapolis 500 winners and can only wish and wait for the next Memorial Day weekend. "When you go to Penske, you see you all the little Borgs there in the foyer, "said Power." In the IndyCar Shop you can see all the pictures of those who won. "I've often looked at this and wanted to be up there, it'll be pretty cool to walk in this shop and see yourself up there." When he sees these photos, the emotions can come back. When screaming at the buttoned Penske store, Power is likely to scream, especially if he sees the photo of Montoya in 2015 so close to a photo of Power in 2018. "I was so disappointed with" 15-man, so close, "said the Force." That's a very different feeling. I do not know what to say. "It's amazing, I'll have to see the footage, obviously I screamed a lot, I just lost my head."